Turntable uses music and personal storytelling to connect, reach out and share experiences with individuals and communities in an exploration of the ways in which music can enrich our lives. 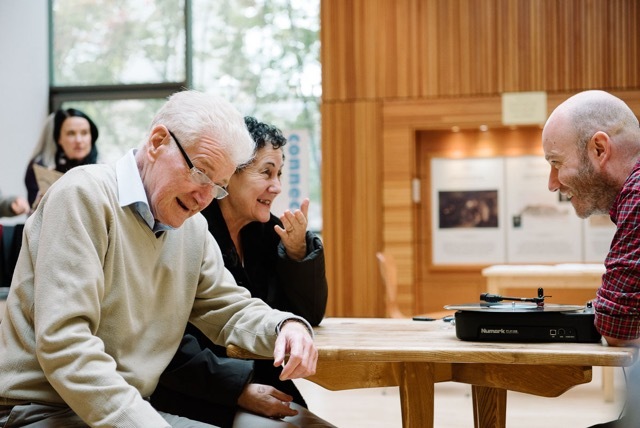 One of the project’s key objectives is to combat loneliness & isolation experienced by the young and old across Scotland and UK, and in pursuing this objective, Turntable intends to reclaim music as a communal experience whilst also celebrating each participant’s individual relationship with the key songs & albums in their lives. Turntable is created alongside musician, composer and artist Michael John McCarthy, designer Rachel O’Neill and producer Alice McGrath. ​At the Fringe, 2017, the Turntable invitation is extended to the people of Edinburgh. Stories and memories will be gathered at workshops throughout the city. These encounters will inform a series of performance events featuring special guests and a soundtrack chosen by you. As part of the development for Martin's solo performance The Mark of the Beast, Platform Easterhouse invited Martin and sound artist Nichola Scrutton to work on the themes of alcohol and addiction with participants from the North East Recovery Community (NERC) to create an audience engagement and participation programme of work. Visiting each of the six recovery cafes, Martin and Nichola collected and recorded personal narratives of living with, and recovering from, alcohol and drug addiction. They asked participants to talk about their first and last drink, as a way to capture their personal experiences. These spoken testimonies were crafted into a sound installation, Good Days Bad Days (right) and was staged at Platform at the end of March 2016. ​Over the course of 2015/16 Martin visited Rachel House and Robin House Children’s Hospices in Kinross and Balloch, and collected recorded conversations with families and staff based on their personal experiences of caring for a child with a life-limiting condition. In that time Martin also helped to instigate the Hospice’s first Death Café for young people and their families moving into adult services, and delivered workshops on his experience within the hospices, including the Scottish Palliative Care Conference and the most recent NHS Conference; written about his experiences for the Scotsman newspaper and created rapid response poetry which has been shared and used by medical professionals. The main bulk of the work created in the post was engaging young people, families and staff in talking about their experiences of the hospice, and covers the day-to-day lived experience as well as issues of death, dying and grief. This collected material was used to create ​The Journey - a sound walk for each hospice, and will inspire further playwriting and poetry work into 2017 including the rehearsed reading of A Little Life at the Tron Theatre's Mayfesto season in May. 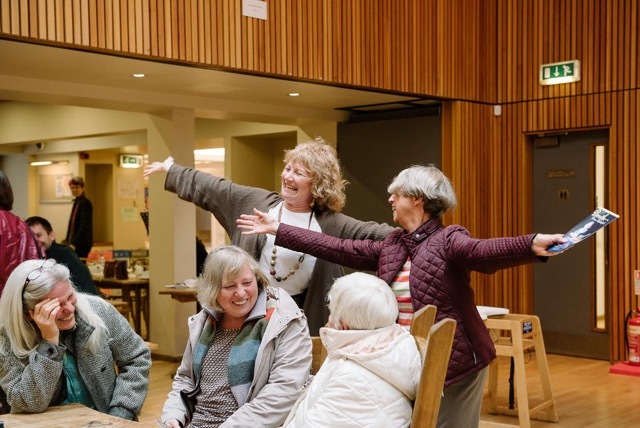 In 2016 and 2017, choreographer and theatre maker Janice Parker worked with the Festival Theatre, Edinburgh and three professional dancers, aged 93, 90 and 85 as part of the Festival Theatre’s Forget Me Not programme to create new performance work. 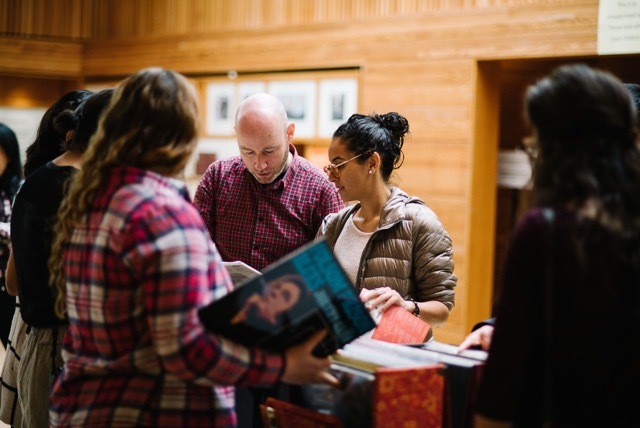 Janice’s almost 2-year long residency culminated in a performance in October 2017, with a book (with writer Martin O'Connor) and a film (with Martin Clark), both to be launched and presented at the Festival Theatre in February 2018. "Our live event features six women dancers, spanning three generations, sharing their practice and dancing together. 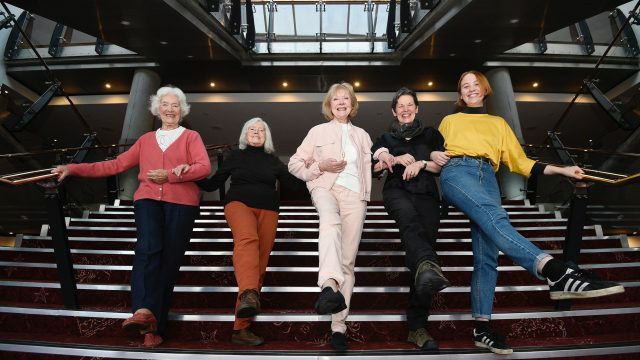 It all started last year when Janice Parker made a call out looking for dancers from the Variety era who had, at one time or another, performed on the stage of The Empire - now Festival - Theatre Edinburgh. Marie Duthie, June Don Murray and Doreen Leighton-Ward are three prolific Variety era dancers who have each performed at the Empire, and have never stopped dancing and sharing their love of the art form." The Pokey Hat is a show performed outside in an ice-cream van. Celebrating real stories collected from residents of Glasgow’s East End, this musical and interactive performance is a fun-filled trip down memory lane for all the family. Especially created as part of the Glasgow 2014 Cultural Programme this summer. Ice cream cones will be handed out at every show!